FPE Automation has teamed up with Lutze Systematic Technology to offer you special promotional pricing for 2017 on some of their most popular products. RJ45 & USB 3.0 superspeed panel Pass-through industrial network connectors. LCIS-LUTZE compact interface electromechanical and solid state relays. LUTZE Silflex® flexible control cable with TC-ER approval, shielded and unshielded. In addition to these products,LUTZE specializes in flexible and high flexing industrial control and power cables and system-specific servo cable assemblies. FPE Automation offers the complete line of Lutze products. Need something different from what you see here? Contact us for a quote. Murrelektronik's new Mini-A (7/8") cables are the perfect solution for power and control circuit connections. Cable assemblies are c(UL)us Listed. Available in 3, 4 or 5-pole and all configurations of head types. The cable range includes a Tray Cable-Exposed Run TPE with FT4 flame rating, a PVC STOOW, and a Halogen Free PUR, all in 16AWG with 600V rating. 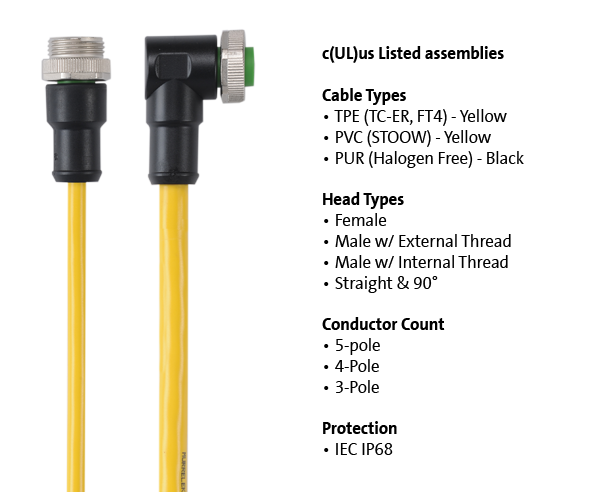 To learn more, click here to download Murrelektronik's Mini Cable Compact flyer, or contact FPE Automation. JVL, one of the world’s leading producers in the field of integrated servo and stepper motors, just released a new generation of their popular NEMA23 integrated stepper motors. JVL's NEMA23 integrated stepper motors have been around for many years and are a standard in many industries. You asked, and JVL listened. The new motor family is based on the newest technology and the advancement of the previous designs. A large part of the new, state-of-the-art redesign is based upon your feedback. The new line of products offers the widest range of options in the market and will fit your application. 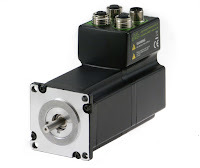 The integrated motors in NEMA23 size flange have an RS485, an optional CANopen or an industrial Ethernet interface as well as an easy programmable motion controller. All the necessary electronics in a stepper system are integrated in the motor. JVL used the latest technology to achieve the incredibly high step resolution of 409,600 step / revolution, resulting in unsurpassed smoothness. The motor is silent when it operates. You can choose between top, or rear-end mounted M12 connectors. The MIS23 motors come in three different sizes and two different motor types; three with standard high torque stepper motors and two versions with ultra high torque stepper motors with 40% higher motor torque. 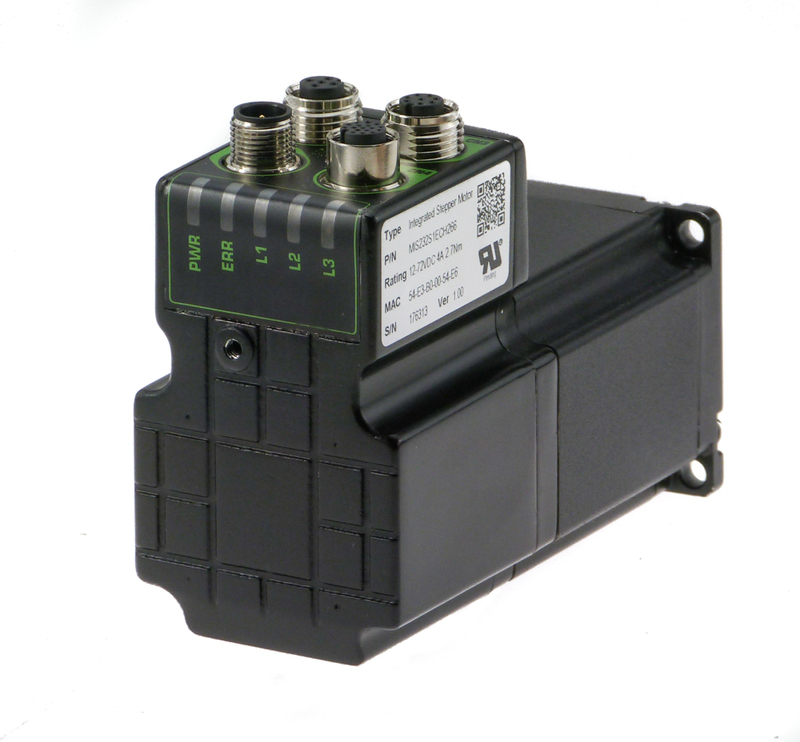 The motors can be operated as standalone units or controlled from a PLC or PC. The 8 I/Os can be individually configured as digital input, digital output or analog input. As standard, it is possible to communicate with holistic systems via for example Modbus RTU or CANopen. The MAC motor standard protocol that is also supported makes it possible to connect up to 254 other JVL integrated motors. The MIS23 series allows connectivity to all industrial Ethernet interfaces such as Profinet, EtherCAT, Powerlink, EtherNet/IP, Modbus TCP and SERCOS III. Extreme resolution up to 409600 steps/rev. The integrated stepper motors in the MIS series are also available with wireless Bluetooth, ZigBee or WLAN. The same type of stepper motor controller is also available as a separate unit with type no. SMC66. For more information, contact FPE Automation. 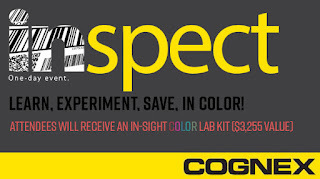 LEARN, EXPERIMENT, SAVE, IN COLOR! Your free Cognex lab kit contains: IS2000-130 series vision sensor, five lenses (3.6 mm, 6 mm, 8 mm, 12 mm & 25 mm), white light, one clear (non-diffused) and one polarized ring light cover, two lens adaptors (16 mm and 25 mm) Ethernet cable, Power/IO cable, and universal mounting bracket. $990 registration fee includes training, one Cognex lab kit per company, and lunch. Up to three people from your company can attend at no extra charge. We're celebrating at FPE today! 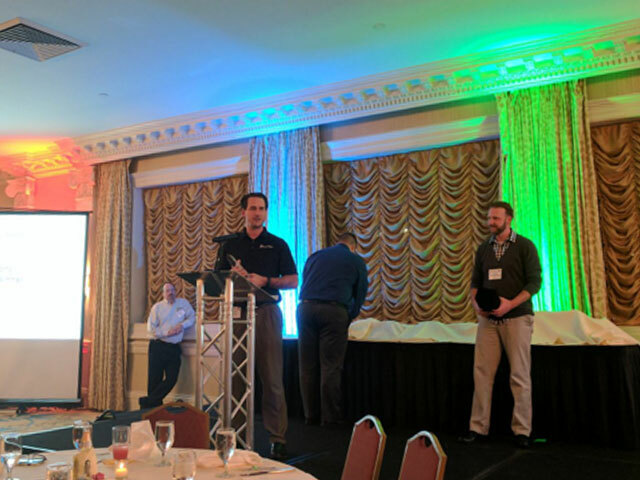 PHD, Inc. has announced that we are the winner of the prestigious PHD Unlimited award for custom configurations. What that means is that we've worked alongside our customers to develop unique solutions that worked to streamline their operations. It's smarter, often more cost-effective manufacturing, and we're very proud and honored to be at the center of it! Here's FPE's Scott Massie accepting the award. 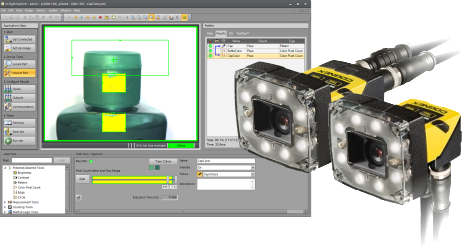 Cognex is pleased to announce the release of In-Sight 2000 series Color Vision Sensors in conjunction with the supporting In-Sight 5.3 Software. This solution offers the ability to inspect applications requiring presence/absence verification of colors on parts, assemblies, kits and product packaging. Now there's an In-Sight 2000 series model to solve virtually any simple error-proofing application in automotive, food and beverage, consumable products and many other manufacturing industries. In-Sight 5.3 software is available now! 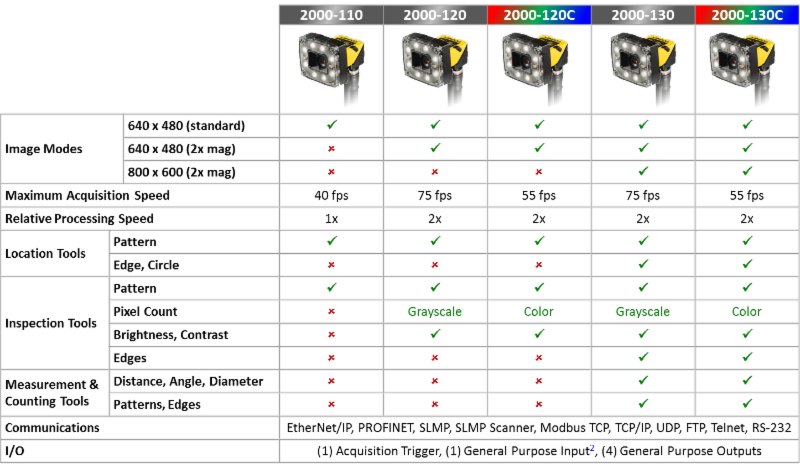 In-Sight 2000 color vision sensors will ship with 5.3.0 firmware installed, and are compatible with In-Sight 5.3 software. The primary objectives for this release is to support the new In-Sight 2000 series color models, but it also adds key I/O and communications features to the In-Sight 5705/5705C and 8000 series vision systems. Download at www.cognex.com or directly through this link.